Mark Buckley is a dedicated Real Estate Professional who is infinitely passionate about serving people. 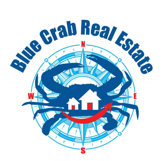 As a proud part of Blue Crab Realty, he represents buyers across Silver Spring, Kensington, Rockville, and surrounding areas. Residing in Maryland since 2004, he possesses the in-depth local marketplace familiarity necessary to ensure a seamless, hassle-free transaction every single time. Whether you are a first time home buyer or are looking for your dream home, Realtor Mark Buckley is here to guide you every step of the way, and ultimately make all your real estate goals a reality. Feel free to contact him directly with any of your realty-related inquiries.